In Sempera time is precious. Time, when extracted from someone's blood, can be bound to iron, which is being turned into a currency that can be consumed to increase someone's number of years. However, for a lot of people this means they constantly have to bleed to pay their debts and therefore shorten their lives, while very few members of the country's nobility thrive and live for centuries. Jules and her father used to work at Everless, an estate owned by a noble family. For Jules Everless was home, until they had to leave because of an incident that made them outcasts in just a few moments. Now they're poor and Jules has to find a way to bring in some coins. Jules's father has given a lot of his time away and is dying. Jules wants to save him, but the only way she can earn enough coins to make up for everything he's already lost, is finding work as a servant at Everless. She's several years older than the child that was sent away and hopes the problems of the past will be forgotten. Will she be recognized? When Jules is in Everless she discovers that her departure was surrounded by secrets. While her father warned her to stay away from Everless and the country's nobility, Jules is too curious to follow his advice. She knows she's in danger, but has no idea about the extent of it. What will happen when she discovers the truth? Will she still feel the same about the people who were once an important part of her past and does she have the strength to change her own future? Everless is a fascinating and gripping story. Jules lives in a world where time is money, literally. Those who are poor won't live very long. I admired this creative idea and Sarah Holland's execution is flawless. Jules is a strong heroine, she loves with all her heart and she's incredibly generous. She will go far to save the people she cares about and I loved her fierce personality. She isn't afraid to put herself in danger if it means she'll get the answers she needs, which makes thrilling reading. I really liked Jules and was captivated by her difficult situation from the start. I read Everless in one sitting, because I couldn't wait to find out more about all the secrets in this amazing book. 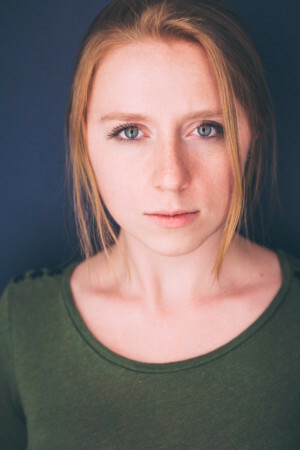 Sara Holland has written a fantastic original story. I love her world building skills and was impressed by her beautiful descriptive writing that makes the story come to life in a terrific raw way. Jules lives in a twisted and cruel world and Sara Holland perfectly describes every aspect of her perilous and heartbreaking existence. She also knows how to divide tension, which makes Everless a fabulous story to read. It's a beautiful spellbinding book that kept me on the edge of my seat from beginning to end. 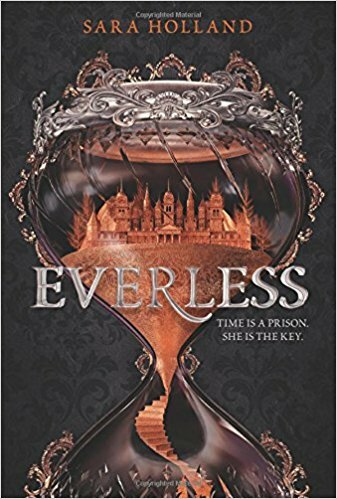 If you love gripping fantasy set in a dark and dangerous world you should definitely read Everless. Please keep in mind that this is the first book in a series, so there's an open ending that will make you feel eager to read more. One very lucky reader of With Love for Books will receive a hardcover copy of Everless by Sara Holland. Everless sounds like a unique and captivating concept with fully fleshed characters and fantastic world-building. Time currency--I think I'd like to get some of that! The cover is gorgeous, sounds like a great read too. This sounds like a fantastic fantasy book, can't wait to read this. love this kind of story, and have seen it on amazon - it's on my save for later list to get on payday!! This sounds so good, the perfect mix of adventure and emotion. The Cover is so,so amazing!!! Sounds like an incredible story! The cover is striking! There’s been so much Everless buzz. I think the catchy title helps! Good luck! Wow, the blurb of this book. I love it. I'm adding this book to my TBR list. I have to read it. Stunning and clever book cover. Beautiful cover and story line! I'm intrigued, the open ending would probably frustrate and delight me in equal measure! Sounds a very unique and intriguing story. I don't think I've read anything quite it before. It never fails to amaze me how an author can come up with such an original concept! What a debut!